With 34,000 square feet of professional office space in the heart of a bustling historic city and an active mix of tenants, our location can help your business flourish. We have space for your whole business or branch. Perfect for one or two person businesses. The Executive Building at 100 Merrimack Street in Lowell offers a modern office environment in a historic setting in the heart of downtown Lowell. 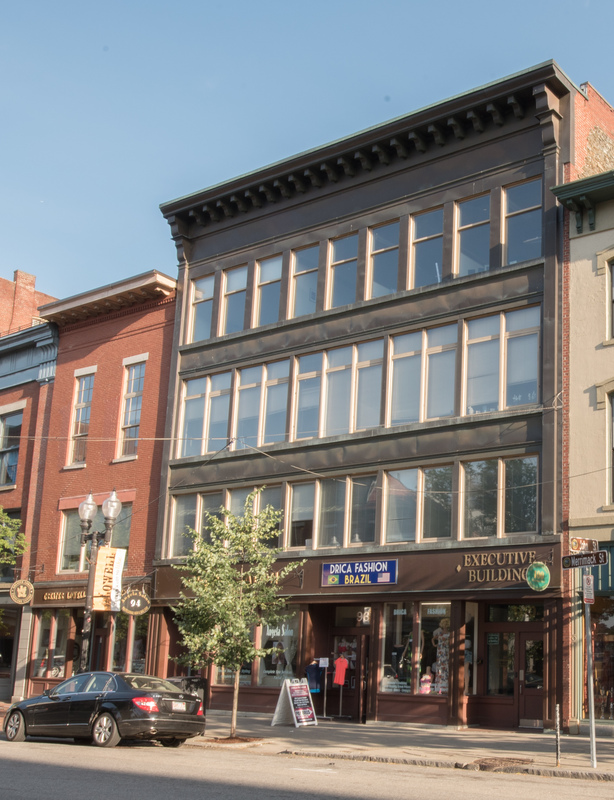 The property has several retail tenants along Merrimack and Middle Streets as well as many professional and business tenants on four floors of office suites. Two shared office suites support groups of professionals sharing kitchen and conference room space as well as Wi-Fi. The property welcomes all guests with a beautiful lobby and all areas are handicap accessible. The Executive Building is a set of three buildings joined internally in a way so as to function as one structure. In addition to the 100 Merrimack Street address, the retail tenants use the addresses of 88 – 92 Merrimack St as well as 43-45 Middle Street. In all, the Executive Building offers over 32,000 square feet of commercial space. The building is four stories with an elevator, sprinklers, key fob access and updated electrical and internet access throughout. All the professionals working at the Executive Building enjoy being among some of Lowell’s best restaurants, coffee shops and retail stores. The property is also located in close proximity to Middlesex Community College, UMASS Lowell, and the new courthouse. Along with street parking, there are three secure parking garages within two blocks of the building. GDG Properties, LLC. 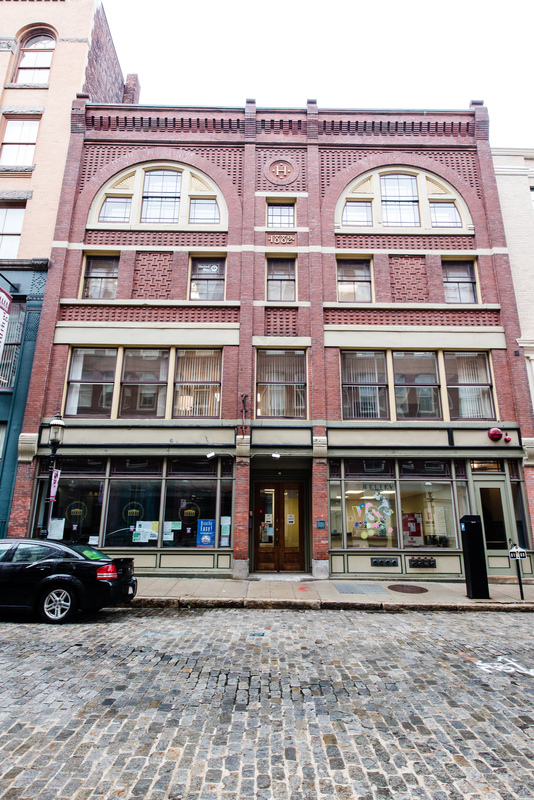 owns and cares for this building along with several other downtown commercial buildings throughout Massachusetts. We would love to connect with you and discuss your work space needs.